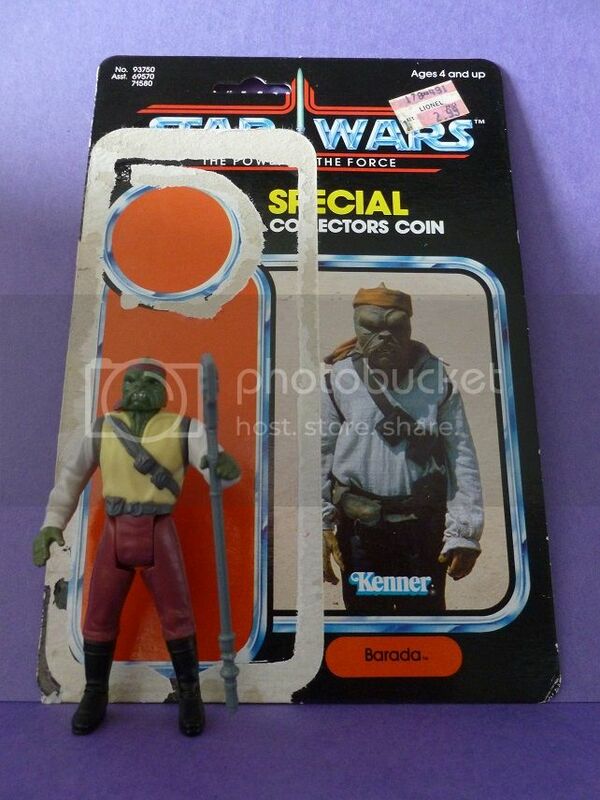 Barada Figure, COO reference guide. I, decided to help Jeff. 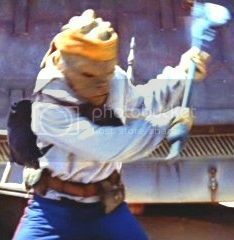 So here is one of my many guides. 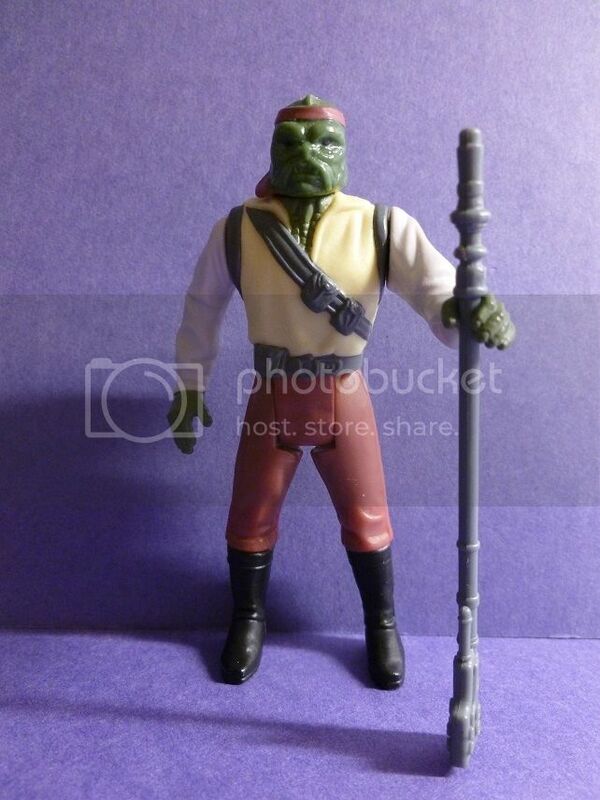 Again one of many figures I did not have as a kid. But also a figure that I wanted a lot. If anyone has any other variants to add, please feel free to update the reference guide. All help appreciated. 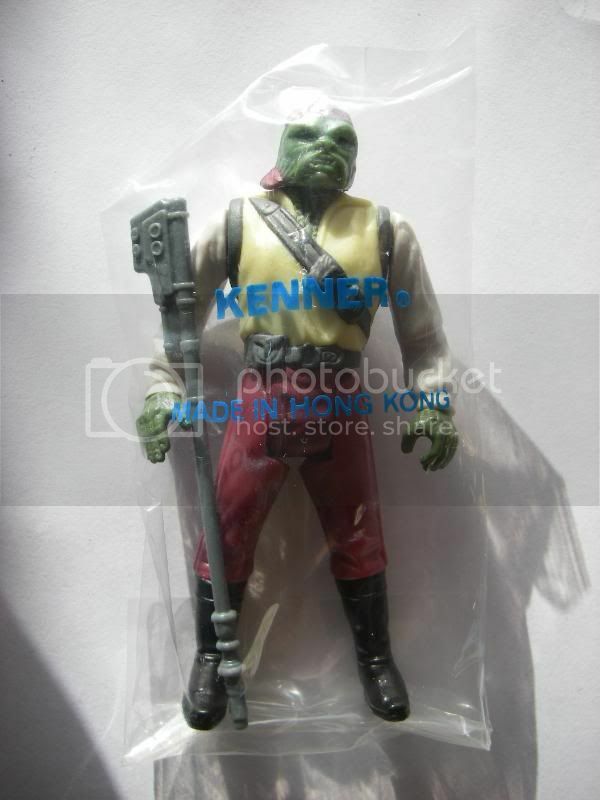 I also do not have any Barada Moc yet. So I will only show my cardbacks of him. 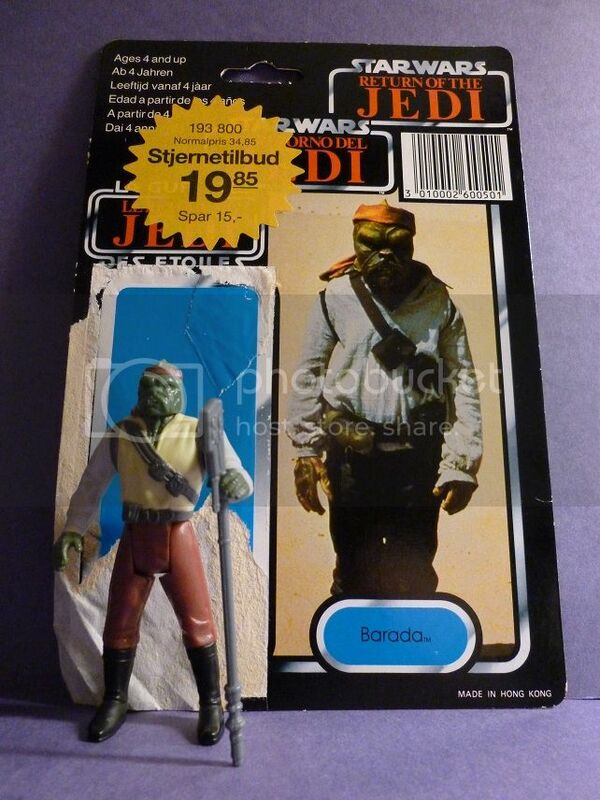 Barada can be found on Tri-logo card and on POTF card. 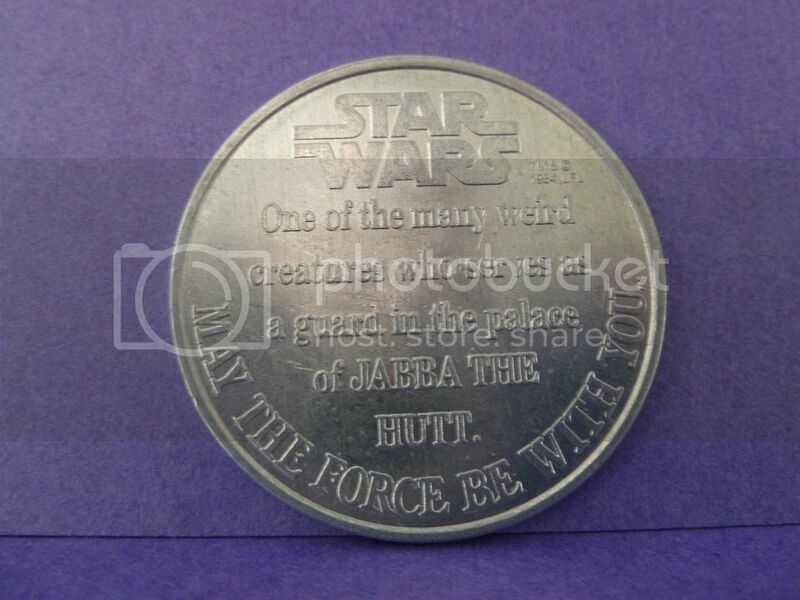 You could find this Barada Silver Coin on the POTF card. No COO: As with any, no COO on the legs. 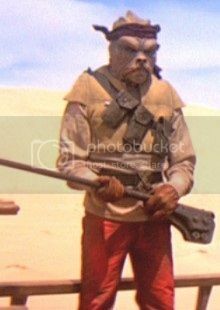 Re: Barada Figure, COO reference guide. It can be hard to see it is stamped 1985, sorry about that. 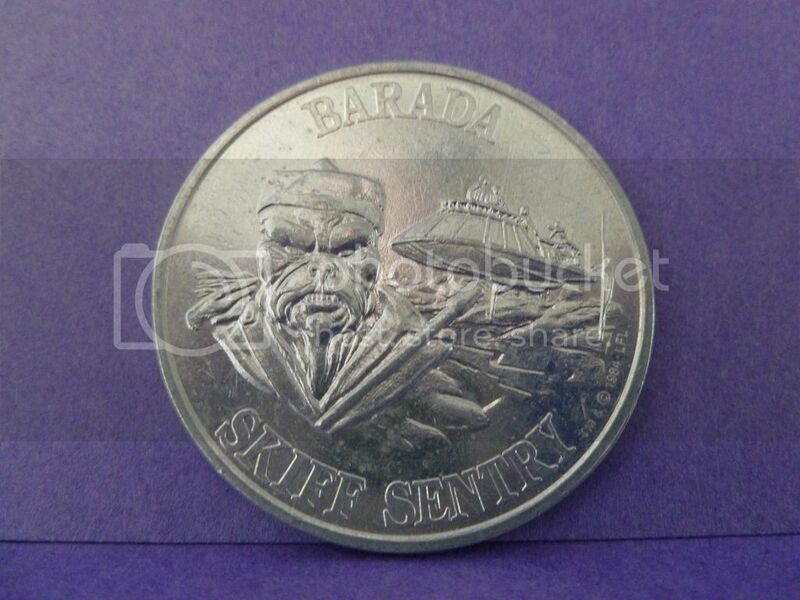 There is also a Barada stamped 1984 but I am still looking for that one. 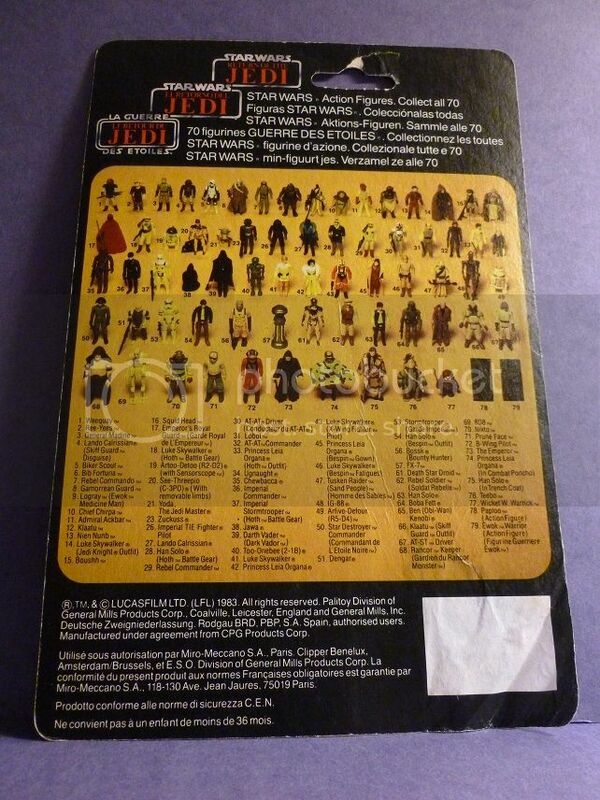 Here's the Barada Baggie that came with the Jabba dungeon playset. LFL 1985. Thanks Jeff and Frank for the great updates, I love those baggies. 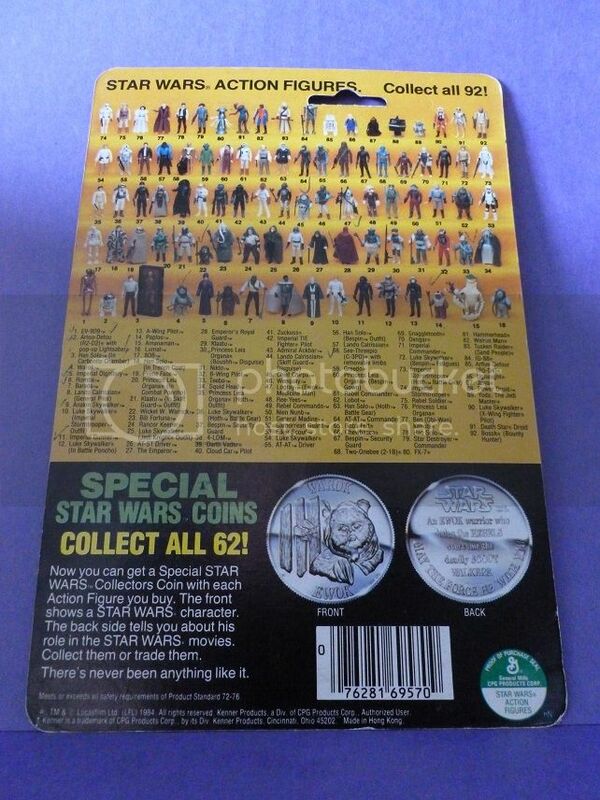 Does any of you know where the 1984 comes in in the picture ? 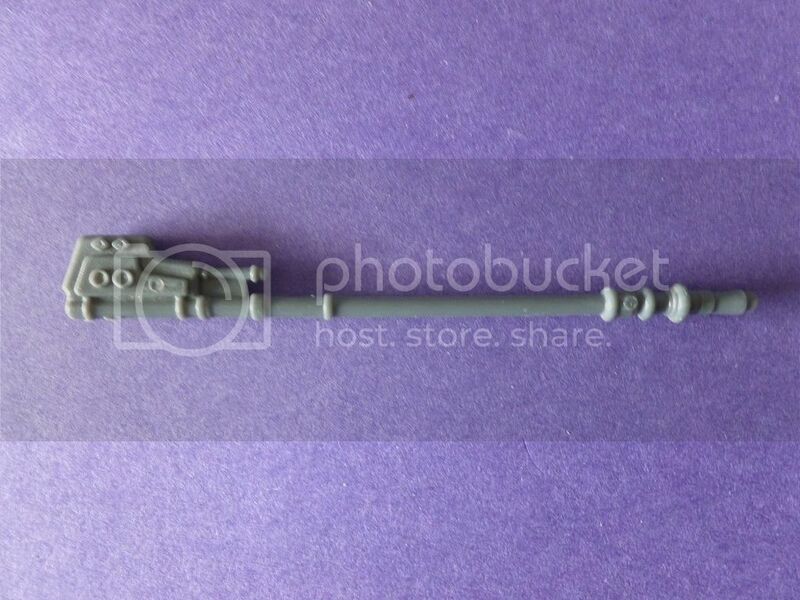 Is it from a moc or a baggie ? Frank and Jeff do you guys have better pictures from both sides of the Skiff Vibro Staff ?